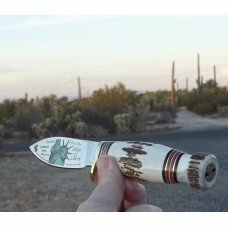 MARBLE'S STAG on STAG SPORT DROP POINT-STATUE OF LIBERTY- W/SHEATH- BOB LOVELESS DESIGN-1 OF 100 !! 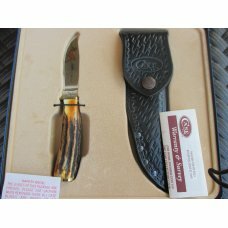 Item # 18245 : MARBLE'S STAG on STAG SPORT DROP POINT-STATUE OF LIBERTY- W/SHEATH- BOB LOVELESS DESIGN-1 OF 100 !! 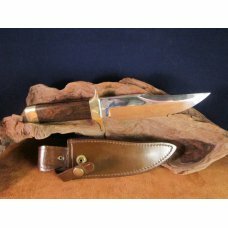 This knife is One (1) of only 100 made !!! 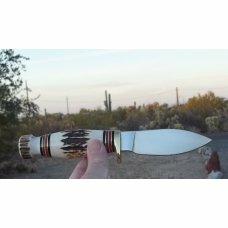 This pattern Marble's knife came too pass in 1999, when Mike Stewart, Jim & Craig Lauerman, and the late great Bob LoveLess set down to make a new pattern Marble's hunting knife in 1999,,, its blade being based on the world famous R.W. 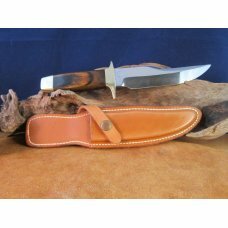 LoveLess designed drop point hunter... Marble's collaborated with Bob LoveLess on their Sport 99's and their Trailmaker knives in 1999-2001... 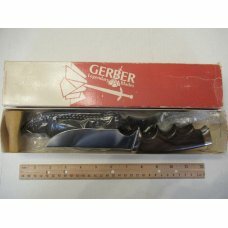 This is one of my favorite Marbles hunting knives. 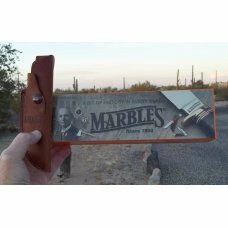 This is the Marbles Sport... A similar Marble's knife pattern called the Sport 1st came out about 1930, as a smaller version of the Expert. 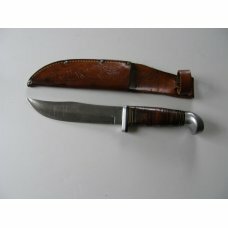 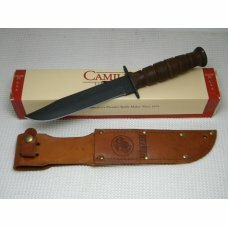 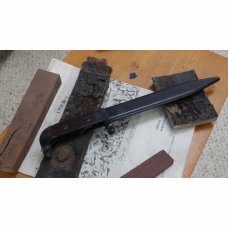 In the 1930's, this knife was the Offical knife of the Boy Scouts & Girl Scouts of America. 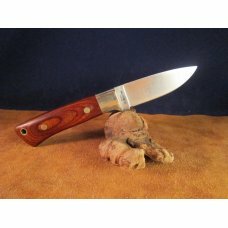 Its a great drop point hunter, and some of the oldtimer's I have talked to here in Michigan use to call this pattern a Willow Leaf...any of you out there that are "Drop Point" fans, will love this knife !!! 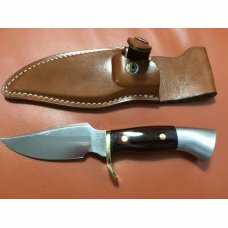 Pommel is Genuine Stag & matches the handle very well, full Stag on Stag pattern that has been a Marble's trademark since 1900 !!! 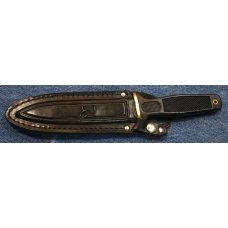 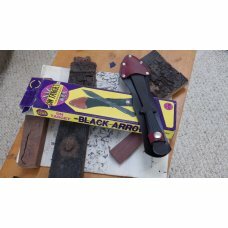 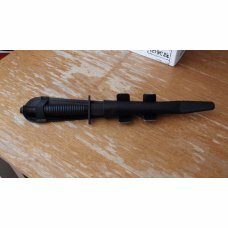 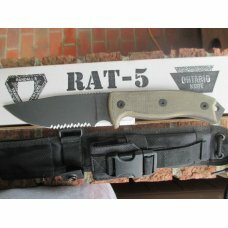 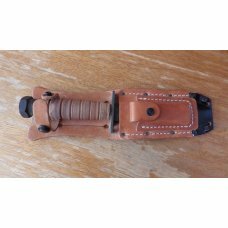 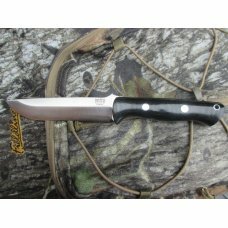 If this item is purchased with another item from Clear Creek Knives that has a shipping cost of $7.95 or more, standard shipping to US addresses for this item will be discounted to $2.00.